Saving seeds has been going on for thousands of years; laws are new. 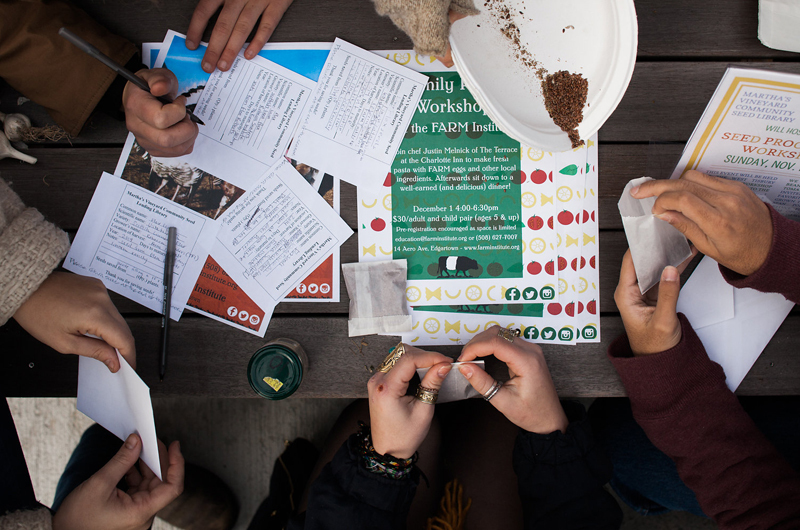 Last spring, Ken Greene, the founder of the country’s first community seed library, came to the Vineyard to help lead a seed saving workshop. Ken explained the concept of a seed library to us: create a central space where people can donate seeds to share, and “check out” seeds to plant in their own gardens, with the hopes they would again save seeds from those plants to return to the library at the end of the growing season. Seed libraries are a way to bring the ancient practice of seed saving back to a community, while over time, developing a collection of seeds that are adapted to the local environment. There are now more than 300 seed libraries across the country. Seed libraries are a vibrant part of the grass roots movement to rebuild local food systems and revitalize crop diversity. With the decline in locally based seed saving, sharing and selling and the rise of industrial agriculture, we lost 75 per cent of global crop diversity in the 20th century, and along with it the stories, culinary traditions and local adaptations each of those varieties represented. But since the mid 1980s, there has been a hopeful trend in the opposite direction — people bringing back rare varieties of fruits, vegetables, grains and livestock, primarily through what Gary Nabhan calls “alternative food networks” in his beautiful and compelling piece Conservation You Can Taste. He estimates 15,000 varieties have returned to American growers and eaters over the last 25 years, thanks to the dedication of countless farmers, gardeners, chefs and consumers. Seed libraries are a vibrant part of these alternative food networks, and we were so inspired by the seed library movement that we decided to start one here on the Vineyard. Island Grown Schools, the Farm Institute and the West Tisbury library have been spearheading the Martha’s Vineyard Community Seed Library since last October, along with a growing group of both longtime and first-time seed savers, leading seed saving and processing workshops and maintaining a small but growing seed collection in a card catalog downstairs in the library. And so we learned with some dismay of legal challenges threatening community seed libraries in other parts of the country. Last June, the Pennsylvania Department of Agriculture informed a seed library in Mechanicsburg that they could no longer operate as they had been, and that the state’s seed laws governing commercial seed companies also applied to seed libraries. The cumbersome nature of these seed laws, designed to regulate commercial seed sales, made it impossible for the library to continue letting its patrons donate seeds they had saved from their gardens and farms. Similar cases have emerged in other states, worrying the organizers and users of the hundreds of other seed libraries across the country. The legality around seed sharing — something people have been doing freely for more than 10,000 years — is more complex than I would have imagined. On the one hand, seed laws are vitally important. They help ensure that commercial seed sources maintain quality in the seeds they offer to the country’s farmers and growers, which is especially critical for those who rely on the seeds they purchase and the crops they grow to make a living. But seed libraries are not seed companies. There are no sales involved and they are geared toward home growers rather than commercial farmers. 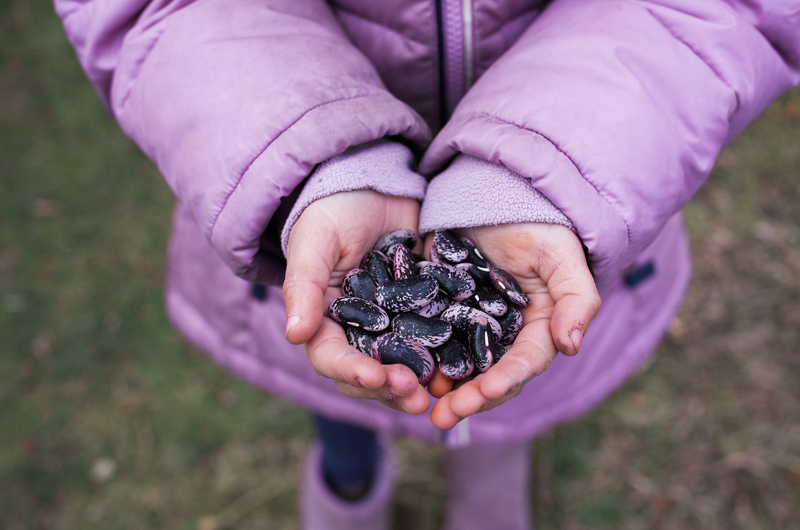 Responsible seed libraries take care to alert their users that while they strive to maintain a quality seed selection, the quality of seed may vary. Most seed libraries require users to sign a pledge that they will not knowingly enter genetically engineered seeds, hybrid seeds, or seeds that they do not know how to properly save into the collection. Seed libraries also rarely require users to return seeds — they operate in a system based on sharing without expectation of return. While there are good reasons to be sure seed collections are maintained with care, it’s also important to measure areas of risk. If very few people know how to save seeds, and if there are a very few corporations in charge of the seed supply (only three companies now control over 50 per cent of the commercial seed market), we face a fundamental challenge to long-term food security. Finding ways to empower citizens to save seeds, grow food, and engage with their communities to strengthen local food systems is critical if we are to continue feeding ourselves in the generations to come. Working together to retain and grow food biodiversity and an array of locally adapted, high quality seeds will be particularly crucial in the coming years of climate uncertainty. Seed enthusiasts around the country are now organizing to clarify state seed laws and policies that govern the free sharing of seeds in a community, to strengthen their local seed library policies and procedures, and to try to ensure that the appropriate level of regulation is applied to seed libraries in their state. The Sustainable Economies Law Center has compiled information on seed laws in most states in the country, and along with the Richmond Grows Seed Lending Library, continues to post information to educate seed library advocates about the legal issues surrounding the free sharing of seeds. To learn more about seed libraries, please visit seedlibraries.org, richmondgrowsseeds.org, or seedlibraries.weebly.com. And please come by our own local seed library at the West Tisbury library and become part of this movement yourself. Noli Taylor is director of Island Grown Schools, a program of the Island Grown Initiative. Noli, this was SO well done. What an important piece and I hope it spreads far and wide. A thorough and thoughtful overview of the topic, Noli - thanks!